It might be time to make some better lifestyle choices. When you’re in your 20s, adding anti-aging products to your skincare regimen isn’t exactly a top priority—you don’t see a single wrinkle anyway, so what’s the point? You may not be aware of it, but your daily routine and habits affect how quickly your skin ages. Even if your only issue at the moment is the occasional zit that pops up when you’re stressed, the ugly truth is this: If you don't think about how your unhealthy habits are aging your skin now, the consequences will catch up (and probably sooner than you’d expect). Below, lifestyle and skincare habits that are probably speeding up the clock and doing your skin more harm than good. 1. You’re not eating healthy. Working a nine-to-five job can leave little room for you to cook to better manage your calories per day, which means you’ve probably given in to fast food a lot. These greasy, highly processed foods contain excess amounts of hydrogenated fats, simple carbohydrates, and harmful preservatives that can result in acne breakouts, inflammation, and dull, older-looking skin. Trade your bag of potato chips for heart-healthy trail mix, or ditch your sugary, highly caffeinated drinks for an energizing cup of tea instead. If you don’t have time to plan your meals every day, try meal deliveries that offer a more balanced meal plan with their selection of vegetables and nutrient-rich ingredients and meats. 2. You don’t use sunscreen. Just because you’re not at the beach doesn’t mean you should skimp on sunscreen. A recent study has found that damage caused by UV rays (which is everywhere) leads to reduced skin elasticity and premature aging. 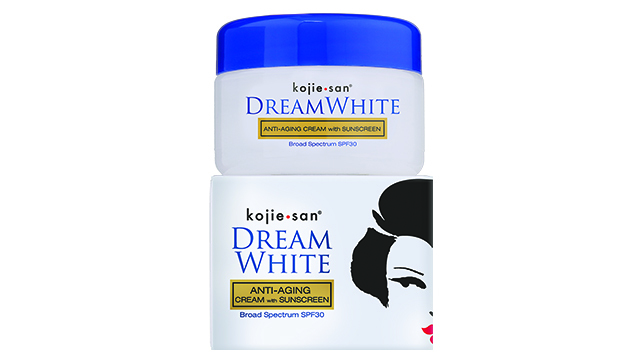 Smoking and air pollution are also common causes of skin aging, so apply products that have antioxidants and a high SPF to protect your skin from these environmental stressors, like the kojie.san DreamWhite Anti-Aging Cream with Sunscreen. When your body is dehydrated, you’re more prone to dry, flaky skin and a dull-looking complexion, which are early signs of skin aging. Drink a glass of water as soon as you wake up, and try to consume a liter (that’s eight glasses) of water at work. For a kick of flavor and to hydrate and detox your body at the same time, infuse your water with berries, citrus fruits, mint, or basil. 4. You’re not getting enough sleep. You’ve probably heard it a million times before that a good night’s sleep is key to a healthy, younger-looking complexion. Sleep is the only time your body is able to repair and renew itself. Get organized and manage your time wisely. If you have trouble sleeping, a cup of chamomile tea and a few minutes of meditation can help calm the nerves and give you a deeper shuteye. Better yet, shut off your phone 30 minutes before bedtime (we know, it’s hard), and do some light reading until your eyes start to droop. 5. You’re using products that aren’t right for your skin. Using anti-aging products that are formulated specifically for older skin is ill-advised as they can dry up your moisture barrier, clog your pores, and irritate your skin. Instead, incorporate gentle, nourishing creams in your daily or nightly skincare routine like the kojie.san DreamWhite Anti-Aging Overnight Cream. It’s a revitalizing, multitasking moisturizer that helps hydrate your skin, lighten dark spots, even out your skin tone, and reduce signs of wrinkles. Apply it on your face and neck before bedtime to wake up to fresher-looking skin. Find out more about kojie.san DreamWhite Anti-Aging Overnight Cream by visiting kojie.san’s website and following kojie.san on Facebook.